When it comes to higher education, some architecture firms like to impart their “wisdom” on you. At WTW, that’s not our style. Our philosophy is to listen first, then lead. We use a variety of learning tools and processes to survey key stakeholders involved in the design of educational buildings. And we use our experience to develop creative solutions that incorporate multiple viewpoints in a cohesive way. This has proven to be an effective way to build consensus and engage all parties in the process, as well as the final outcome. 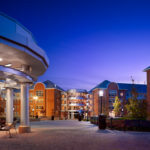 From Student Unions to Student Housing, we measure our success on how each building is integrated into the culture of your university and how it relates to the natural fabric of the campus. Everything is considered carefully – from the flow of the pedestrian paths to the location of the fitness facilities. We understand what drives students to love their school: the history, the environment, the excitement, and the pride of knowing they are part of a world-class institution. See the projects that have given us national recognition in this ever-evolving industry. 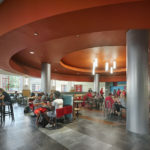 The Student Activity Center (SAC) dining facility was transformed to create openness and transparency that improves circulation to the retail food concepts. The new food court offers a ‘restaurant experience’ dining area for students to gather, hold events, and socialize. 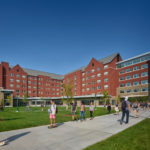 This seven-story residence hall for first-year students includes 699 beds, a central dining facility with seating for 550, fitness center, living/learning seminar rooms, and open lounge/study spaces throughout the building. 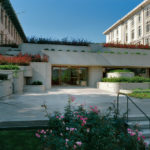 Posner Center is a one-story, concrete structure with a rooftop sculpture garden and is designed for the storage and display of the Posner Rare Books Collection. 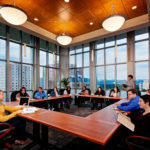 In addition to a large display lobby that focuses on the collection, the building houses a large conference room with seating for 82 persons in a board room setting as well as additional seating to accommodate a total of 100 persons. Group collaboration rooms, a group workstation area, a general classroom that doubles as a computer lab, circulation desk, perimeter lounge areas and a new library staff office suite have totally transformed and re-energized this aging library. 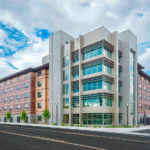 Following the highly successful completion of Nevada Hall totaling 320 beds, WTW Architects/Collaborative Design Studio was re-engaged to implement additional new housing at the University of Nevada, Reno. 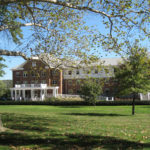 The campus has been transformed by an addition and renovation which was designed to complement the classic architecture. The new spaces intuitively create a sense of community and enhance student life. Thirty years after WTW’s original design, CalU re-engaged WTW to transform and expand the center with extensive renovations and strategic additions creating a 135,000-sf center. Located at the hub of housing and academic districts, Natali is a vital campus crossroads. 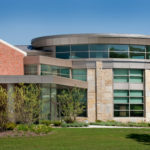 Approximately 10,000 sf of the Union was designated for this project. WTW Architects was selected to plan and design the new facility. 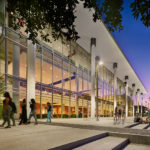 The University of Houston’s vision was to transform its outdated 1960’s University Center into a ‘next generation’ student life center without disrupting key on-going operations. Nearly doubling the size of the existing student union, this project transforms a complex series of smaller additions into a cohesive center of student life. The addition unifies the building as it completes the south edge of the majestic central campus quadrangle. 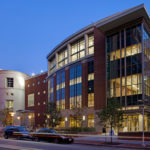 This transformation of a mid-century concrete building into a vital and robust center of student engagement is a testimony to the innovative vision of the university and the design team of Neumann Smith/WTW Architects. 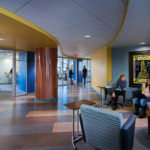 A new curvilinear “main street” connects new and renovated areas of the building, showcasing student activities. Food and entertainment are featured throughout including live performances from the stage. 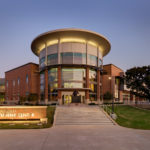 Designed to complement the historic campus Spanish Mission style, this new center of student life serves as a gateway to the campus and a landmark building for the university. 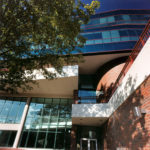 The signature rotunda entrance and open stairway gracefully connect the main entrance to campus. 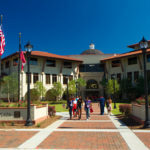 Located at the crossroads of three major campus axes and the main campus entrance, the Crowley serves as a welcome center for visitors and the hub of student life. 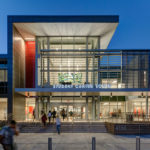 This multi-story Campus Center, nestled between existing campus structures, projects an open and inviting image to students and focuses on student activity in the urban context. Organized around a dramatic two-story entry lobby, this unique facility combines dynamic student life components with an exciting recreational/fitness/wellness center. 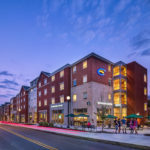 Strategically located at the intersection between the academic quad and student housing, the Student Center is a dynamic crossroads on campus that is the hub of student life. The Center provides an oasis for the large commuter population while incorporating features to support resident students as well. 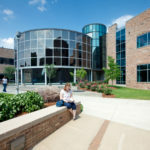 The Kent Campus Center provides flexibility and versatility to accommodate a variety of student / alumni / community sponsored events. A central atrium creates a new center of student life that links the various campus neighborhoods together. A total renovation and doubling of the size of the University Center has reshaped the vision of student life on the campus. The new 575-seat Dining Commons with an outdoor dining terrace provides expansive views to the main campus quadrangle. 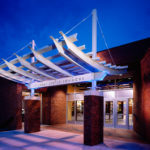 The 1960’s Memorial Center was totally renovated and nearly doubled in size to enhance both its Student Center and Recreation Center components. 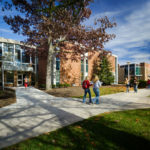 A new main entrance addition and atrium provides a single point of orientation for both the Student Center and the Rec Center. The work was phased and construction accelerated to allow maximum utilization of existing program spaces during construction. 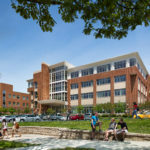 The purpose, design, and location of this exciting new building was to provide a facility to meet the needs of today’s students and the entire University community, while providing a signature building on campus. 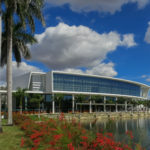 WTW and Miami-based Arquitectonica were commissioned for the design of the new 75,000-square-foot Student Activity Center. 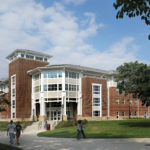 George Mason’s three existing interrelated student life centers underwent a total transformation. 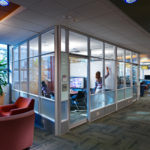 SUB II was renovated and expanded to create the new home for student on-campus activities, student media, clubs & organizations, and other student related programs. 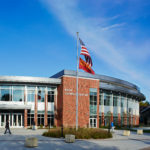 As part of a total transformation of three existing interrelated student life centers, SUB I was renovated and expanded into a new Student Services Center including a “One Stop Shop” for students to interface with the myriad of administrative functions related to their education. 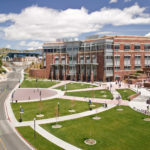 Strategically located at the new south campus precinct and integrally connected to the beautiful and historic campus green, the Student Center is both an iconic gateway to campus and the heart of student life. 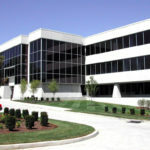 This major renovation and expansion was based on WTW’s long-range master plan for the facility. 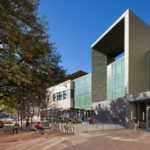 Sensitive renovation and additions to the historic mid-twentieth century modern structure, while creating a dynamic contemporary center of student life, were the driving concepts for the design. 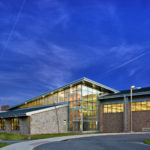 This project is a renovation and addition to the HPER building and creates a connection to the Ewing Hall field house. 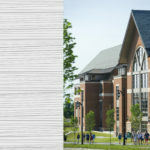 It forms a new northern gateway to the campus, in addition to highlighting the fitness center and offers full views of the main lawn from within. 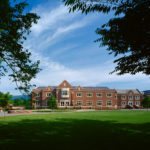 This project inserted a high energy recreation program into an early 1900s Georgian Architecture building, located within the main quad of historic buildings on a semi-rural campus. 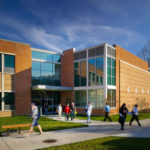 The goal of Lake Erie College was to design and construct a facility that serves as a social and recreational complex for all students; houses the “Storm” varsity teams; and can be used by the community as well as summer youth sports programs. 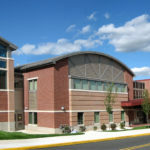 This recreational sports and wellness activities building links the field house and the football field, providing access to events at the field. The adjoining outdoor terrace is a gathering place for university guests, students, and staff providing an elevated view of events on the field. 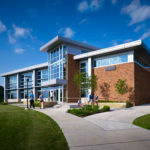 The Wellness Center adapts a building originally intended exclusively for athletic programs into a fitness destination for the entire campus population. 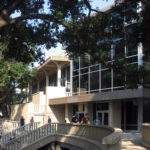 The addition creates a new “front door” to campus that welcomes on-campus students and visitors from University Drive. The HUB Fitness Center features a selectorize/free weight area, aerobic classrooms, four racquetball courts, golf simulators, locker rooms, and related support space. WTW led the design of this exciting hybrid project that combines privately developed student housing with a dynamic recreation facility. 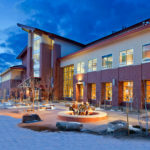 WTW provided the overall exterior design building and the complete design of the recreation component. 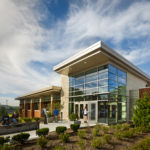 The recreation center at the University of Pittsburgh-Johnstown campus includes a multipurpose gymnasium, elevated jogging/ walking track, classroom/exercise rooms, offices, lounge area and a climbing wall. 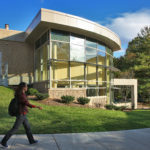 The new two-story glass atrium connects the Center to the existing athletic complex and creates a dramatic new entry for both buildings. Increased focus on health and wellness, as well as a growing student population and athletic programs, provided the motivation for Penn State to expand the Capital Union Building. 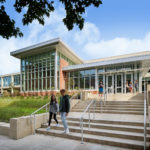 Expansive glass walls flood the exercise areas with daylight and afford views of the campus while providing an inviting showcase of the activities and energy of the center. 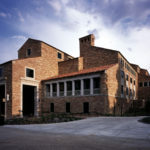 Sensitivity to the Tuscan style and vernacular architecture common to major existing campus buildings provided the primary design direction for this major renovation and expansion. The building was totally transformed to create a thoroughly current student experience while respecting the traditional architecture of this historic campus. 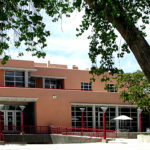 The fast-track renovation and additions to this circa 1950 Student Union created a completely new center of student life while retaining and enhancing the charm of the existing facility’s Pueblo Revival-style architecture. A five story atrium with skylights and escalators provides a strategic link between the older traditional upper campus and the newer academic and residential districts on the lower campus. 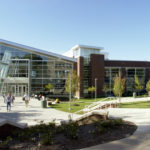 The atrium is the dynamic center of student life around which a wide array of activities is focused. 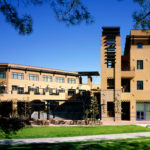 Taking advantage of the climate, the Center is organized around an extensive landscaped outdoor courtyard that serves as the hub of student life. The design respects the classic southern California aesthetic that defines the campus. 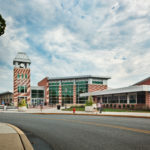 The new Gardner Student Union completely replaced the existing student center on the same site, transforming the sense of community on campus. 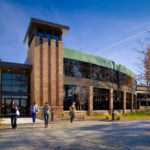 Phased demolition and construction allowed the student center to remain fully operational during the two phases of construction. During the 1960s, buildings for education often manifested themselves in large “megaplex” facilities. Often both brutal and inflexible, this architecture is now in need of enhancement to meet the needs of today’s college-level students. 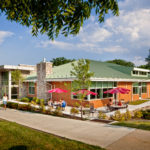 The challenge at Parkside was to honor this traditional architectural style while updating the renovated facility to include amenities demanded by today’s students. 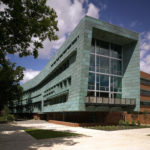 The primary challenge for WTW and local architectural partner Ruck/Pate was to provide an economical yet dynamic student life/dining center that would serve as a new landmark for the University. Returning the Port Sky Café to renewed prominence and the center of campus student activity, the renovated facility is energized by a curving main street that provides passing students the opportunity to view the activities of the reimaged servery, and expanded student dining rooms. 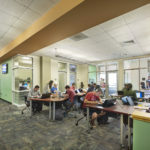 This renovation created a new hub for students to gather, exchange ideas, collaborate, and utilize multiple technologies in a variety of specialized, flexible spaces outfitted with “smart” furniture that encourage and facilitate collaboration.boration. 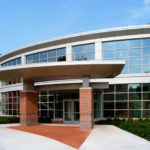 The National Technology Transfer Center links business and industry with federal research data, which is collected at NTTC and accessed via a state-of-the-art computer network. 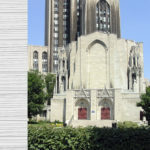 With the established goal of making its presence more visible to its neighbors in downtown Pittsburgh, Point Park University commissioned WTW to design a renovation to its main building, Academic Hall. The transformation of the lower two floors into a glass-enclosed atrium offers passers-by a view of student lounges on two floors linked by a thirty-foot-long staircase. The Science and Engineering Building on this 150-year-old campus was in need of revitalization. 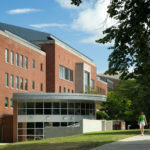 The 90,000-square-foot renovation was completed in four phases and contains classrooms and laboratories for biology (botany, anatomy/microbiology, molecular biology), chemistry (organic/physical), computer sciences/physics, psychology (including animal rooms) and technology services including web site, network, and server rooms. 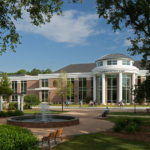 This historic landmark, located at the heart of the campus, required programmatic and life safety improvements to meet the needs of the students, faculty, and community. 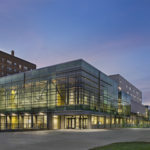 The goal of the restoration work was to provide the University with a facility for state-of-the-art educational experiences that doubles as a highly utilized public performance hall. 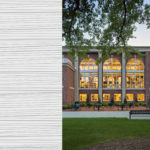 This aging library was to upgraded and expanded to provide an adjacent Learning Resources Center. The design provided a fresher and more contemporary look, expanded stack areas, expanded office and support areas. Upgraded entries created a more prominent and welcoming appearance. 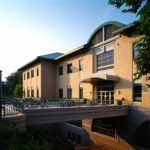 The School of Computer Science at Carnegie Mellon University includes additions and renovations to two buildings on the West Campus. 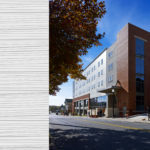 This project is a complex consolidation of the two existing structures into a cohesive whole by extending both buildings two stories vertically and connecting them together with a circulation spine and atrium. With its 55,000-square-foot building bursting at the seams and recent land acquisition, it was time for a master plan at LECOM. 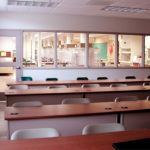 WTW inventoried the school’s needs and established a 10-year development program for the campus. In order to succeed, the School of Architecture and Landscape Architecture (SALA) must be a place to capture and excite the imagination. 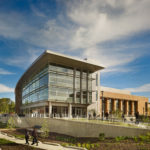 As Penn State’s first effort in totally sustainable architecture, this 110,000-square-foot facility is also designed to model the tenets and techniques to achieve environmental stewardship. 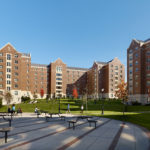 Oak Hall and Hickory Hall are living learning centers that comprise the first phase of the WTW prepared student housing masterplan to replace all 1,800 existing beds on campus. 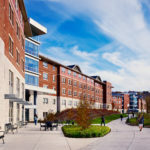 The Halls’ strategic location along an upper ridge provides dramatic views of the campus and surrounding landscape, enhancing their connection to the University. Based on WTW’s master plan, the new student housing replaces outdated high rise dormitories with residential learning communities. A variety of living options are provided in the six buildings. 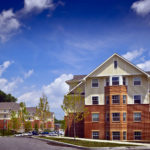 Allegheny and Brandywine Halls are the first phase of a three-phase Student Housing Renewal Initiative. Following the residential master plan prepared by WTW, phase one will replace all 3,216 beds on campus. 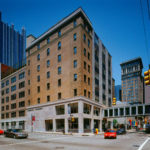 Committed to continual improvement of on campus student living options, Duquesne University replaced an outdated building with this twelve-story, 131,000 square foot residence hall on central campus. Unit configurations can be changed between semi-suite and full suite arrangements based on demand. 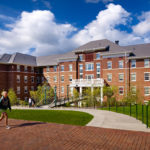 This apartment and suite-style facility provides options for single and shared bedrooms in semi-suite and full suite arrangements in a living/learning environment. Stone and brick facades, steeply pitched roofs, well proportioned windows, and two story porches relate to the campus vernacular. In response to the long and narrow site, Centennial Hall consists of two linear wings connected by the building entrance and common areas. 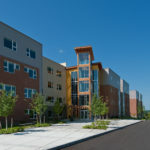 One wing is comprised of apartment and suite-style units for upperclassmen while the other provides semi-suite units for freshmen. WTW Architects was selected to develop a master plan and design for a 1,241,000 square foot student housing complex on the campus of Indiana University of Pennsylvania. This comprehensive project was planned as four living/learning communities, with a total of 3,548 beds, constructed in four phases. 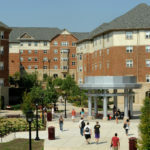 Keeping within the Housing Master Plan designed by WTW, IUP has aggressively replaced its student housing. Phase III includes two four-story wood framed buildings, each with an architecture that is responsive to its unique context.